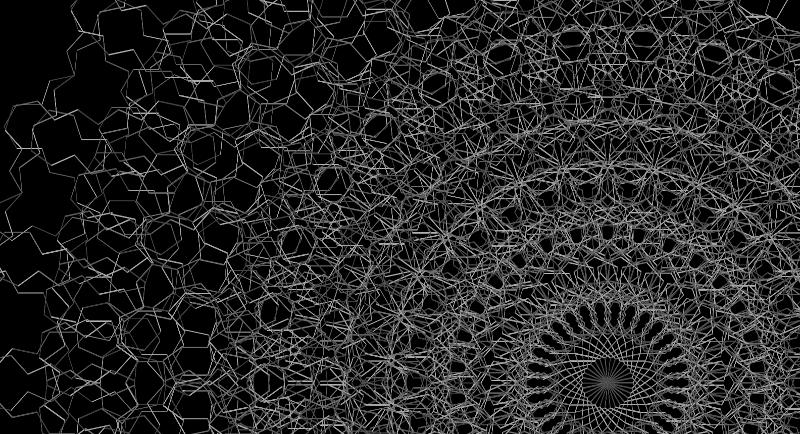 This image was created using an algorithm similar to that used to generate the Koch snowflake. Fractal images of this type are described in detail on my mathematics blog in the Creating Fractals series posted on Day007, Day008, and Day009. Fractal Curve +60 +288, 10" x 5"